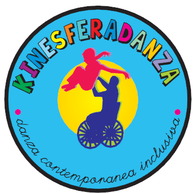 Kinesferadanza use every kind of body and propose to came with us to Discovery the dance. 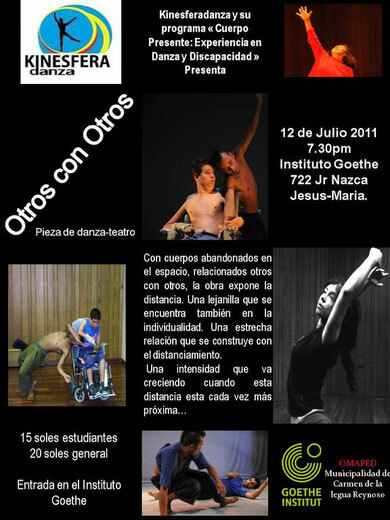 Kinesferadanza will present its new play “ Otros con Otros” the Tuesday 12 of July at 7.30 pm in the Goethe Institut. 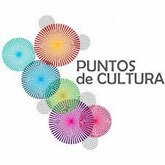 We invite you to participate to our dance and movment Workshops the Saturdays from the 4th of June to the 25th, from 3.00pm to 5.00pm in the Italian Cultural Institut. 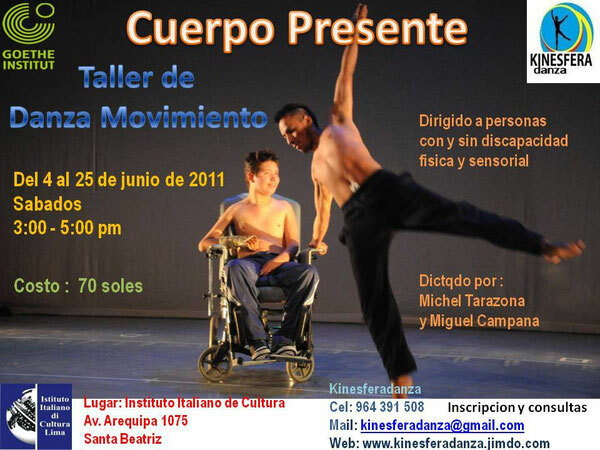 The Workshops is directed to person suffering or not from physical and sensorial disabilities and will be directed by Michel Tarazona and Miguel Campana.